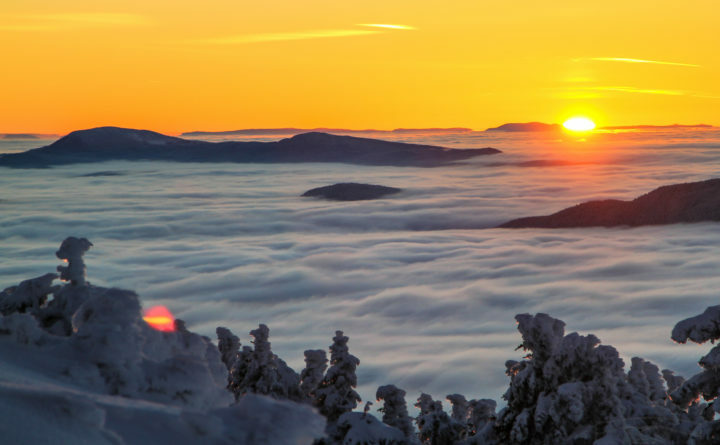 An Australian company said it is raising money to complete the purchase of the Saddleback Mountain Resort in Rangeley. The Australian executive planning to buy Saddleback Mountain Resort in Rangeley disputed news reports that he wanted the resort mainly for its immigrant visa program potential rather than reopening the ski operation. He added that the EB-5 immigrant visa program is not the major funding mechanism for closing the purchase, as had been indicated in media reports Wednesday. Excerpts alleged to be from an audiotape of Monsour talking during a Sept. 11, 2017, staff meeting were released Wednesday by Portland NBC affiliate WCSH. The tape was reportedly leaked by former Majella employees. The EB-5 visa program allows foreigners who invest at least $500,000 into a U.S. business and create at least 10 local jobs to qualify for permanent U.S. residency. Sen. Tom Saviello, a Republican who represents the district that includes Saddleback, said the comments on the tape about the EB-5 visa didn’t make sense to him. “You need a viable running business on the ground, and there are job creation requirements,” Saviello said. Saviello said he’s heard from a person close to the resort operations that five to nine people are currently working at Saddleback to care for its structures and to plow, and they’re being paid by Majella under an operating agreement while the funds are raised to complete the purchase. Commenting on the tape, on which he appeared to say Majella is cash poor and hadn’t paid certain contractors, he said Majella doesn’t comment on internal meetings or financial statements. “But to clarify, we are in a compensation dispute with one former employee and for legal reasons I would prefer not to comment further,” he wrote in the email to the Bangor Daily News. He gave no timeframe for closing the purchase. He signed an asset purchase agreement for the property last June. The resort, which is Maine’s third largest, has been closed since July 2015, when the Berry family that owns it said they couldn’t afford to replace a chair lift. Monsour said his company is in the final stages of a process that will fund all its commitments now and into the future. “This is a complex deal and has posed numerous challenges to our investors. We are focused not just on closing but ensuring we have the long-term, sustainable plan in place for future of the mountain and the existing approved development district which includes opening the resort and keeping it open,” he said. He added that the Berry family has helped with the operating agreement that allows Majella to continue work to maintain and reopen Saddleback. He said when the deal is done, it will bring jobs back to Rangeley year-round, and not just seasonally. The private deal has been cloaked in silence. People involved Rangeley’s economic development seemed cautiously optimistic about Majella being able to complete the purchase, but did not want to be quoted. Meanwhile, the Saddleback Mountain Foundation, a nonprofit group that had bid to buy the mountain a couple years ago, continues to look for an opening to buy the resort, according to its spokeswoman, Crystal Canney.